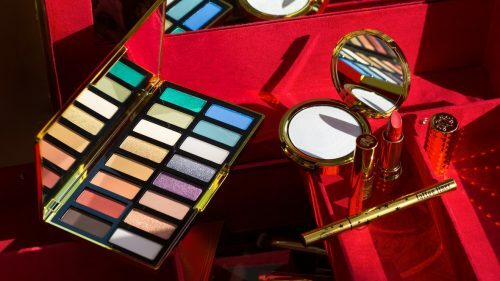 The disrupting beauty brand – Kat Von D is now 10 years old! The celebrity tattoo artist has gone big with a suite of anniversary products that we are drooling at. 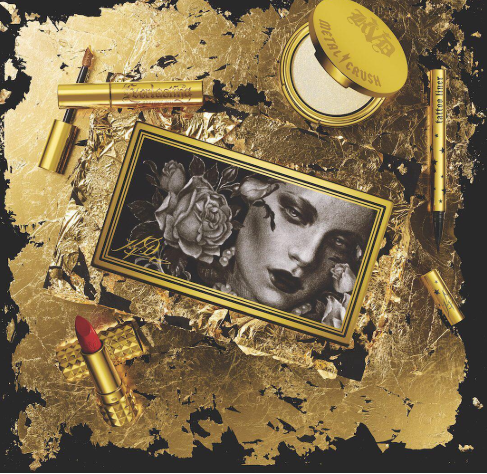 The Kat Von D 10th Anniversary collection features various covetable, collectible products in glorious gold packaging with a touch of glam goth, including the 10-Year Anniversary eyeshadow palette (16 limited edition shades), a new Everlasting Glimmer Veil in Gold Skool and an Anniversary Train Case personally designed by Kat Von D herself! *Free US shipping on orders over USD $50!